Personally and behalf of the Board of Directors of the Canadian Ethnocultural Council (CEC) I am ecstatic to communicate to you that on August 4th, 2015, the CEC became the first Organization recipient of the prestigious Paul Yuzyk Award for Multiculturalism. Proudly with the CEC were also Dr. Jawakar (Jay) Kabra and Ms. Priya Saha, who received respectively the 2015 Lifetime Achievement and Youth Paul Yuzyk Award for Multiculturalism. We congratulate these special individuals for their outstanding achievements and contributions to multiculturalism. 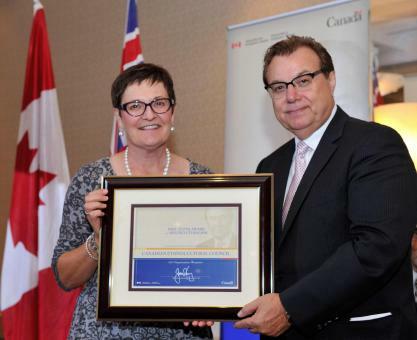 The Paul Yuzyk Award for Multiculturalism established by the Government of Canada (Citizenship and Immigration Canada) in 2009, commemorates the late Senator Yuzyk’s legacy in entrenching multiculturalism as one of the fundamental characteristics of Canadian heritage and identity. This award recognizes individuals, group of individuals and organizations in communities across Canada who have made exceptional contributions to multiculturalism and the integration of newcomers. The CEC’s receipt of the Paul Yuzyk Award is the coming together of the dreams and goals of the CEC’s co-founders; the guidance and administration of its first Board of Directors to the present; the support and commitment of its members; the arduous and dedicated work of its staff and volunteers as well as the genuine and comforting support of many people. The CEC sincerely thanks all of you. The CEC’s realization of the Paul Yuzyk Award for Multiculturalism fully embodies and resonates herein the aforesaid essence of gratitude. May the CEC continue to embrace its rich past, operate in peace and harmony in the present, and look towards the future with a fervent flame representing, advancing, promoting and preserving the multicultural reality of Canada. 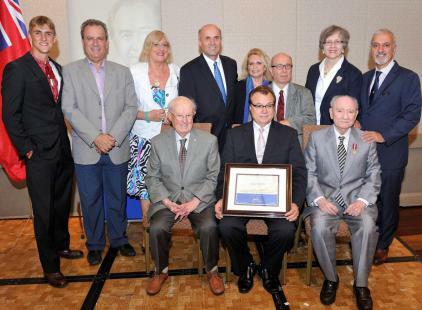 Our sincere gratitude and congratulations to all of you for making the CEC’s receipt of the 2015 Paul Yuzyk Award for Multiculturalism a reality. Citizenship and Immigration Canada, on behalf of the Hon Jason Kenney, Minister of Multiculturalism. Front Row: Laureano Leone, (Founding President), Dominic Campione (President), Bora Dragasevich (Co-founder Board of President and member).